The Issue Here Isn’t Russia, It’s China. One of the salient facts to remember in the wake of the firing (finally!) 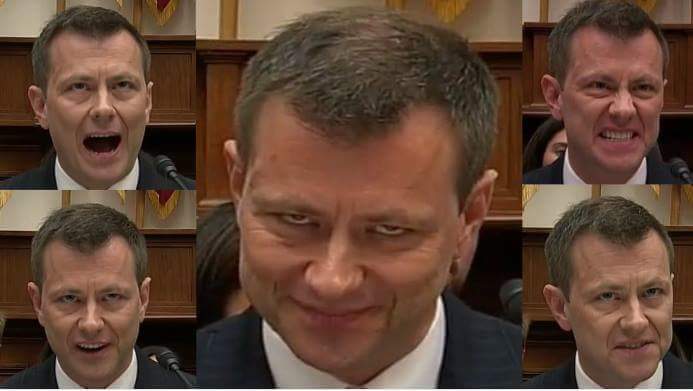 of Peter Strzok is that the man was the chief of the Counterespionage Section of the FBI. That means the man in charge of counterespionage for the Unites States of America was conducting an extramarital affair with another important Justice Department employee via text messages that could easily have been hacked by a high school student. Roll that around in your mind for a moment. Can you think of anything dumber in the intelligence world? You don’t have to have read any of a dozen John le Carré novels to understand how foolhardy it was, how it made Strzok subject to all sorts of skullduggery from foreign powers. No wonder it took them so long to fire him. There must have been a lot to investigate besides his ridiculously biased and jejune politics. How was it possible the then-chair of the Senate Intelligence Committee was under such intimate covert surveillance by China for decades? Where was our counterespionage on that one? Not doing a lot of countering. Incompetence, here, most certainly. But there’s more going on here too. Why is it that we didn’t hear about this for 5 years, where the facts in the case were very firmly established, and yet we heard about Trump and his supposed Russian collusion almost instantly with an almost complete lack of established facts in that case? The man’s firing was long overdue, and frankly, he should have been arrested. But here’s the thing…. Clearly, one story benefited the Democrats and their handlers… Namely the ChiComs… and one did not. Personally, I can’t help but wonder if the Chinese aren’t a couple of layers underneath all of this business with Russia. The two of them have never been tremendous allies, and given what we know about “Driving Miss Feinstein“, (stealing Roger’s phrase), I can’t help but think that the weapons of mass distraction being brought to bear on this is just the thing to cover the Chinese’s backsides in their operations. Nor has that effort ceased. Now, why do you suppose the Chinese Communists would be interested in spreading their propaganda over the already left leaning SouCal? Hmmm? More as I find, of course. How much would we have to pay China to take Californicate and KEEP IT? We got California from Mexico. We can give it back to Mexico.